This past weekend my Dad and I competed in the Virginia Autocross Championship (VAC) hosted by the Tidewater Sports Car Club. As I posted earlier, the event was at Littlecreek Amphibious Base and it was a fantastic site for this event. On one end of the course sat behemoth Navy hovercrafts and the other side opened up into the Chesapeake Bay. It is basically like racing on a concrete beach surrounded by hovercrafts - not your typical mall parking lot! The VAC was a two-day event with the top times from Saturday and Sunday deciding the championship. For Saturday, STX class ran in heat 4 which put us running in the hot afternoon sun. This was our first time running on concrete so I basically had to make an educated guess on our setup. I started with our base tarmac setup and checked the damper setting to make sure they were even side to side and set each damper in the middle setting for compression and rebound.....this turned out to be not such an "educated" guess. The first run was miserable with zero front grip and rear grip rivaling a skidcar. We adjusted by dropping tire pressures front and rear until we had a decent, driveable setup by the 4th run. However, the tire pressures made things better, but still did not fix the fact that our dampers were too stiff in both directions. Because we were both running in the same heat, I did not have time to adjust the dampers between runs. Despite these issues, I ended up 3rd in class out of 10 in a field that included 4 national level drivers. Not bad considering the setup woes. I was 0.4s out of 1st place so I had my work cut out for me to make the jump to the top spot on Day 2. My Day 1 run was good enough to qualify for the Top 16 PAX shootout Saturday afternoon...but barely. My first competitor in the shootout was a Street Modified Subaru STI driven by Martin Kriz. I ran 0.1s faster in my shootout run and stayed clean.....so I was really hoping Martin would clip a cone on his shootout run. He had a great run, stayed clean, and beat me in the first round by a few tenths on the PAX ranking. I didn't do as well as I'd hoped in the shootout and I really wanted those free tires, but at least I qualified and got extra seat time on the dry concrete. I got a break with the weather as it rained all Sunday morning and we were the 1st heat. Our Mini has a distinct advantage in the wet over my competitors in RX8s. I also do a lot of wet handling training at work so I'm pretty decent in the wet compared to your average autocrosser. The big difference however was the damper setup changes we made before Day 2. Overall lateral traction was greatly improved and we had good balance which made the car very easy to rotate on corner entry. The track was drying throughout the heat so the times picked up with each run. I stayed in 1st place for each run, but got 2 seconds faster from the 1st run to the 4th run. In the end, I finished in 1st place for the day and cleared the Day 1 winner by 0.5s leading me to a 0.09s margin of victory for the Virginia State STX Championship! The Solo Nationals are now two weeks away and I feel much better prepared to take on the top STX-class autocrossers in the country. Our concrete setup is dialed in and we will have further time to optimize at the Solo Nats test and tunes. Also, my Dad and I had time to review our data and in-car video which really helped our driving. He improved over the weekend dramatically and has a lot more confidence in the Mini now. This should bode well for Nationals and next season for both of us. Thanks to Courtney Cormier for all of his help with the Mini throughout the weekend and the Audie and Jeff Chenery for letting us stay at their beach house! My parents took these photos at the Virginia Autocross Championship this past weekend (recap to come shortly). I am at the Detroit Airport now traveling to Norfolk, VA for a crucial race this weekend. My Dad and I are entered in the Virginia Autocross Championships which is an annual two-day event hosted by the Tidewater Sports Car Club that is basically a showdown between all of the autocross clubs in Virginia. State Champions in each class and the best overall club will be crowned (I'm sure I will be the only competitor living in Texas). Also, on Saturday there will be a Top 16 PAX shootout where the top 16 PAX finishers from Saturday will duke it in a bracket tournament for a free set of Toyo tires. We will be racing at the Littlecreek Amphibious Base in Norfolk, VA in our STX Mini JCW Hardtop. Littlecreek is a perfect slab of concrete right on the Chesapeake Bay that is the launch site for Navy hovercrafts...very cool. The key for this weekend is the conrete surface at this site because the Solo Nationals in Lincoln, NE is three weeks away and is also on concrete. We will be working on our driving and setup for concrete surfaces this weekend in addition to trying to take home some free tires! 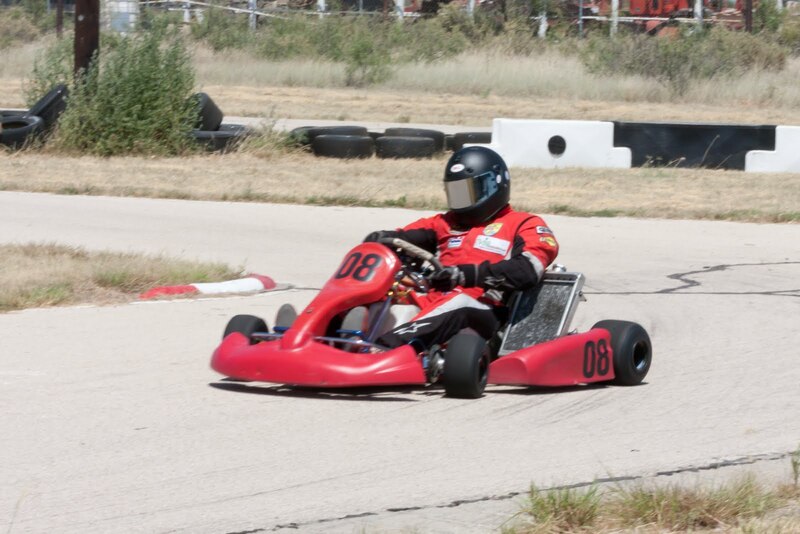 I went back to Rimrock Raceway in Midland, TX for more practice in my Birel/Honda Stock Moto shifter kart. After looking at my notes and data, I figured I could chop a few tenths of my time without setup or gearing changes. Rimrock is very small and I do not have the correct gears suited to the track. I decided to keep gearing the same so I could eliminate variables and focus on making ME faster, not my kart. My thoughts on where to pick up time were correct and I picked up 0.5s in my first session - 35.38 compared to 35.86 last time. The 35.38 was my fastest lap, but I consistently ran 0.2-0.3 faster than my last practice day at Rimrock for the rest of my sessions. I tried out a new camera view with my GoPro HD so check out the video below. Overall, it was a great day at the track. Sunny and in the 90s and we basically had the track to ourselves. My girlfriend, Ali, and my friend, Justin, made the trek with me. In between shifter sessions, Ali and I had a lap time battle on her Honda XR70 pitbike and Justin clicked off laps on his 400cc Suzuki SuperMoto bike. This video is a compilation of my fastest laps I have on video from the Bondurant Formula Mazdas, C6 Corvettes, and a CRG/TM ICC 125cc Shifter Kart. I took the video with a GoPro HD. 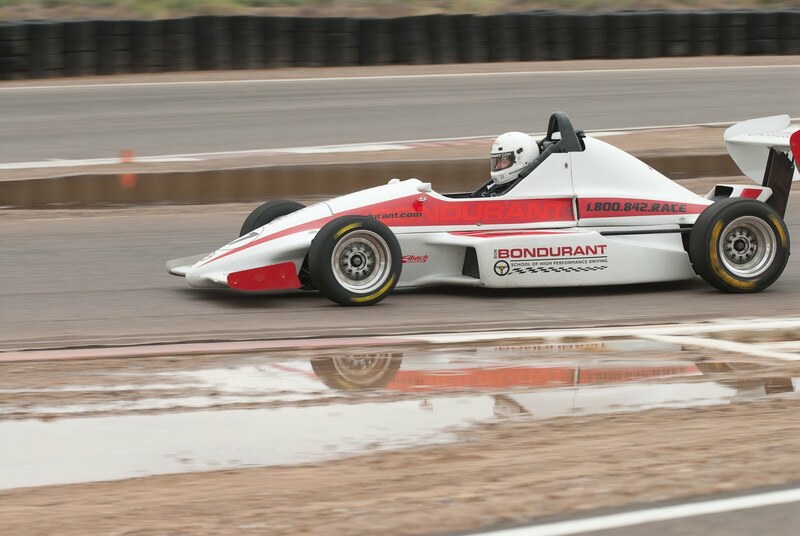 I'm at the airport now heading back to Texas from an amazing week at the Bondurant school in Phoenix, Arizona. 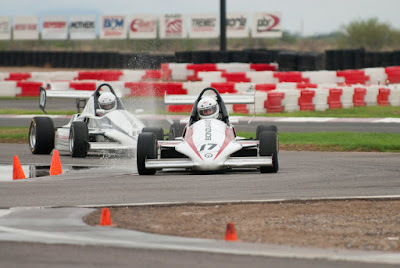 Yesterday was Day 4 of my Bondurant school and we basically spent all-day on the track in Formula Mazdas. The day started off damp with light rain in the morning, but the sun came out for a very nice, dry afternoon. So track conditions went from very treacharous to perfect by the afternoon. I got more and more comfortable with each session and started to push harder, slide the car around more, and adjust my driving to the car. 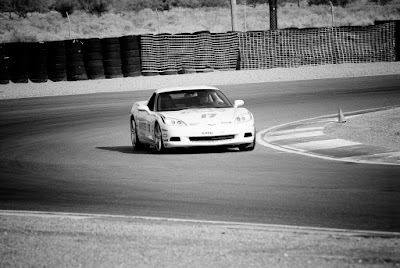 Each session, I progressively moved up my braking points, got to the throttle earlier, and increased my mid-corner speed. These small increments paid big dividends in lap time. 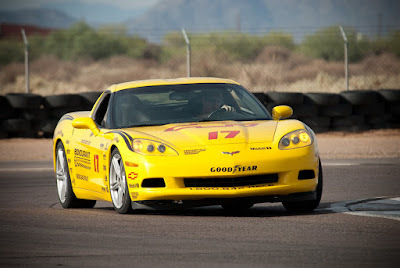 I was the fastest car in my group so I did not have many clean laps. In the final two sessions, Pietro Fittipaldi and I played lead/follow so he could see where I was faster. 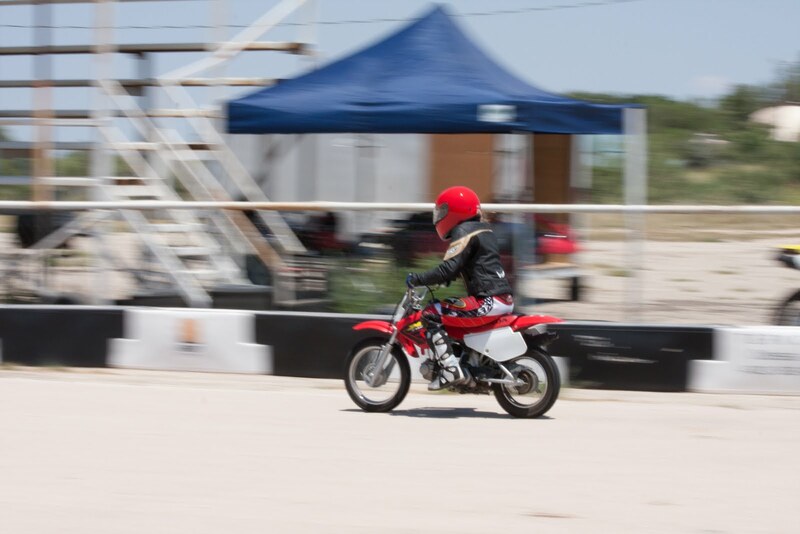 We each learned a bit from each other as he was braking a bit later into Turn 1, but I was getting to the throttle earlier and getting better exits out of each corner. I was extremely impressed with the 14 year-old grandson of Emerson Fittipaldi. He was almost as quick as I was and this was his first time driving something other than kart! 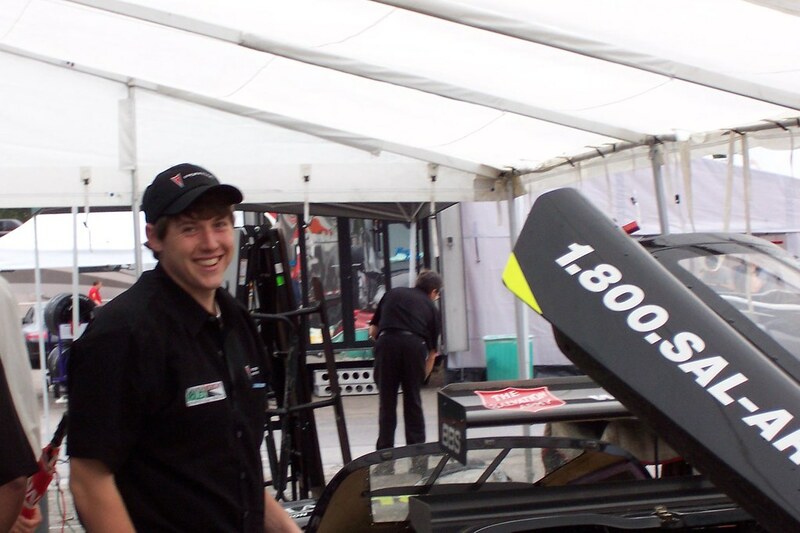 If he achieves his goal of racing in F1 and NASCAR, then I will have a good story to tell in a few years! After the last session, we had a graduation session with Bob, our instructors, and the 6 4-day students. My instructors had very good things to say about my driving and my progress. The Bondurant school rates each student on a scale of 0-5 (5 being perfect, 0 being truly terrible). To help quantify the ratings, the most students get a 2.2 - 2.5 and nobody has ever recieved a 5. The highest rating given was to 4-time Indy 500 champion Rick Mears who recieved a 4.5. Given this, I was very happy to receive a 3.9. 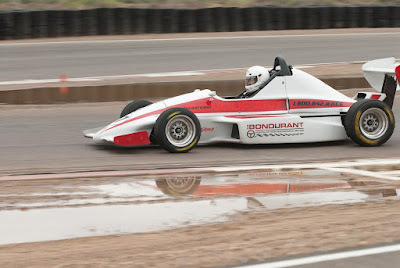 Two hours after graduation, I took a 2-hour shifter kart course at the Bondurant SuperKart School which is on the same property. It was basically a quick intro, a shifting exercise, and then 2 long lapping sessions. 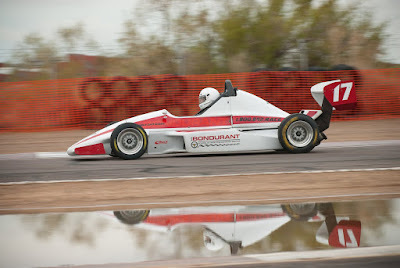 The Bondurant kart track has many different variations using parts of the road course, and the variation we ran was about 0.3 miles long with 6 turns. 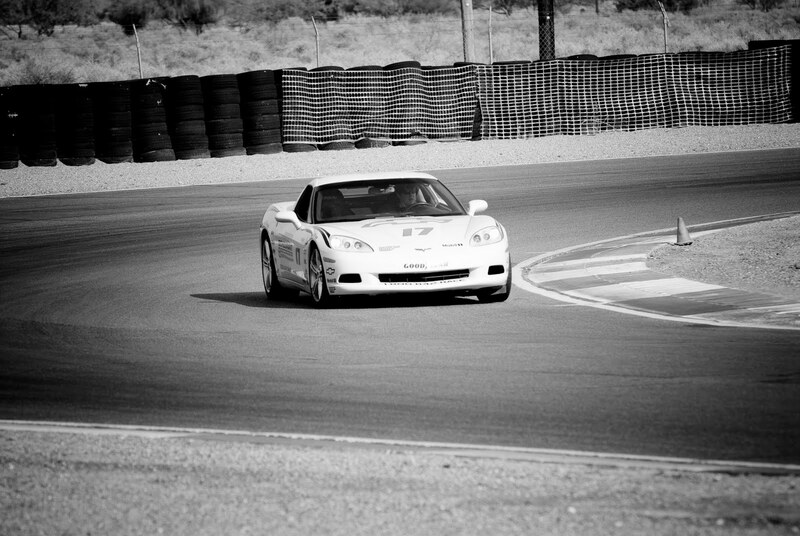 It was short, but very quick and fun to drive with good variety of corners. The karts were CRG 125cc Shifter karts with TM ICC engines. This was my first time driving a CRG and an ICC shifter engine. It is very different than my Honda CR125 shifter engine. It has less torque especially at low RPM and the power band is smaller making gearing and being in the right gear even more critical. After driving the Mazdas all day and then the shifter, I was completely wiped, but it was an absolute blast.